Do you know anyone who is a former Army Ranger and would help attach a fighter jet cannon to the top of a Toyota Prius to promote one of his companies that does tens of millions a year in sales? Who also has a multi-million-person following on social media with, for example, more than 120 million views on YouTube, and growing? I do, and so do millions. His name is Mat Best. You ask nearly any U.S. veteran or service member who Mat Best is, and they’ll probably smile and start telling you about their favorite viral videos he’s created. Best is well-known in the military and veteran community as the guy who makes funny videos and gets people to laugh, and this includes videos such as “If Veterans Were in Horror Movies,” “Conservative Comes Out” and “ISIS BUTTON.” His videos have a combined 573 million views on YouTube and Facebook – more than half a billion. Best is a red-blooded American man who seems like a larger-than-life superhero that young people could look up to. He’s approaching his mid-30s, has served as an Army Ranger in the military, got out, became a CIA contractor, then started creating viral social media content that has amassed a cult following with more than 1.5 million people on Facebook; nearly 900,000 followers on YouTube; and more than 641,000 followers on Instagram. He also founded several companies, made a full-length movie and remains at the helm of one of the fastest-growing coffee companies in the country. He lives in Texas with his wife Noelle and is vice president of Black Rifle Coffee Company – appropriately deemed “America’s coffee.” He started from humble beginnings in California and by the time he graduated high school, he knew his calling was to be the best he could be in the U.S. military. If his larger-than-life personality, work ethic and entrepreneurial drive sound like something out of Arnold Schwarzenegger’s playbook, don’t be surprised. Schwarzenegger is someone Best looks up to, and it’s obvious he’s taken a few pages out of the Terminator’s book. “He’s the epitome of the American dream,” Best recently told American Military News. “He’s an immigrant who came here legally, defined what he was doing, became hyper successful in this crazy niche that didn’t exist, put it on the map, got into Hollywood and then became a politician.” Best doesn’t necessarily want to go into politics any time soon, but he’s also an entertainer who loves pushing boundaries. Best is the de facto face of Black Rifle Coffee Company, or BRCC, which was founded in 2013 by Evan Hafer, an Army Green Beret veteran who has vowed to hire 10,000 veterans in response to Starbuck’s promise to hire 10,000 refugees. Forbes named BRCC its No. 5 top veteran-founded startup in the U.S. in 2016. And this past April, Forbes profiled BRCC again, this time pointing out how the company is growing and grossing more than $30 million annually while roasting millions of pounds of coffee. Best is the vice president of BRCC, and he’s proud to be building a community that he knows resonates with people across the country. Creating content that focuses primarily on being an American who has served in the military is where he started, but Best wants his content to be more than that. He wants to spread happiness, laughter and create a genuine connection within the veteran community and outside it. If you knew him growing up, this might sound like a far cry from the younger Best. “When I grew into my own, I took portions of my older brothers and put them into me. I never took life too seriously,” he said. “Even when I was in Ranger School, I was the guy cracking jokes,” Best pointed out. Ranger School is a months-long course run out of Fort Benning in Georgia, and it’s considered one of the toughest training courses a soldier can volunteer for. In 2016, more than 63 percent of people who started the three-phase course ended up failing. Best didn’t think it was that bad. “Arnold says ‘break the rules, not the law,’” Best pointed out – and that’s exactly what the 32-year-old entrepreneur and content creator has done. And underneath the workaholic who isn’t juggling more projects mostly because there are only so many hours in one day, there’s a man who cares deeply about his community, his companies and his country. Best grew up in a pro-America family, and his grandfather and great uncles fought in World War II. Two of his brothers joined the Marines, and 9/11 took place the same day as family day of their boot camp in 2001. “Black Hawk Down” and men like fallen Army Ranger Pat Tillman – who turned down a 3-year, $3.6 million NFL contract to enlist in the Army eight months after the Sept. 11 terrorist attacks – were what inspired Best to want to be the best – an Army Ranger. He graduated high school in 2003 and went to basic training when he was 17 years old. 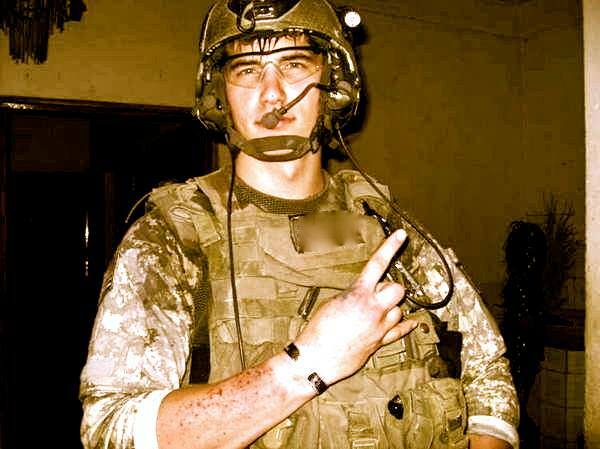 He served in the 2nd Ranger Battalion, 75th Ranger Regiment, and deployed twice before going to Ranger School, which he graduated in 2006. Best deployed three more times with the Army. “Back then, the insurgency was high. On a lot of those deployments, we were getting into gun fights. I’ve done my fair share of kicking down doors,” Best said. When he decided not to re-enlist in the military, Best initially regretted that decision. “I was in L.A., and I hated being a civilian,” he said. One of his friends told him he should become a CIA contractor and gave him a good recommendation, so that’s exactly what Best did for the next five years, from around 2010 to 2015. 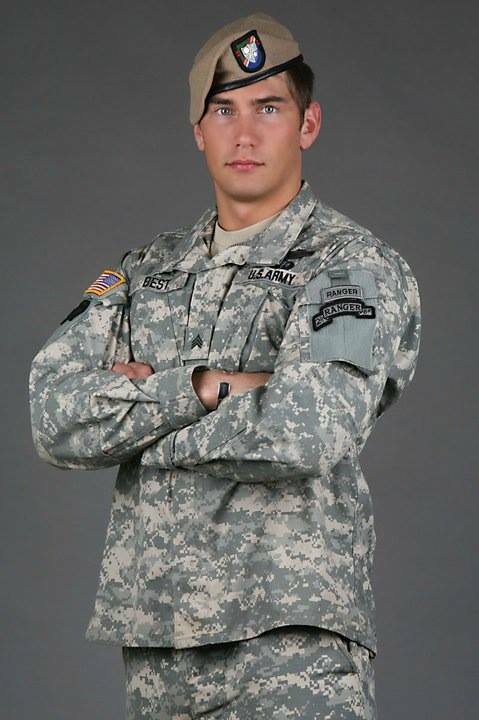 Best had started college when he left the military around 2008. He finished his bachelor’s degree in liberal arts during the first year he was contracting for the CIA. Those little videos were the start of a few big things for Best, including his first successful business endeavor. When he launched one of his first viral videos in August 2013, “How to be an Operator,” it was taking a swipe at the military and firearms communities in the country at the time, Best said. “Everyone is chest-beating and saying ‘we’re badasses,’ but we have to make fun of ourselves,” Best pointed out. The video got 100,000 views in one week; it now has more than 2.7 million views to date. That was when Best realized his passion could become something even more. He and his first business partner, Jarred Taylor, decided to make some T-shirts so they could make a little money and put it back into making content. That was the birth of Article 15 Clothing. “As my celebrity grew, my personal brand grew. We were probably the third largest military lifestyle brand out there within the first year,” Best said. It was during that time that he met Hafer, who was really into coffee and wanted to start a business. “I didn’t know about the business. Evan was really motivated to learn business. He asked me to roast and sell some of his coffee,” Best said. In December 2013, Article 15 sold 500 bags of Freedom Roasters Coffee. In January 2014, BRCC was officially born. While Black Rifle Coffee Company has grown immensely in five years, Best has continued working on and growing his personal brand, all the while founding and running several other companies. Best not only has his hand in apparel, but also spirits. He created Leadslingers Whiskey in 2013 and A15 Publishing in 2015, as well as the well-known Drinkin’ Bros and Launch Code podcasts. Drinkin’ Bros has fostered an incredible following and community, Best said, and Launch Code focuses on the behind-the-scenes of running a business. Both podcasts feature prominent guests such as former Navy SEAL Rob O’Neill, the man who killed Osama bin Laden; and Mat Fraser, a CrossFit athlete who is the three-time Fittest Man in the World. While these endeavors appear wildly successful now, Best wasn’t always, well, the best at being an entrepreneur. He wasn’t the kid who sold lemonade on the corner. But he did know how to flip some burgers for the Botany Club in high school so the group could then pay for pizza parties. “I love to cook, and it was a stupid way to have fun and add value to the community,” Best said. The very first company Best actually started was a failed apparel company called Violent Hero Powerlifting, founded when he got out of the military. “It was one of those things you’re motivated about for a few months, then the flame kind of flickers out,” Best said. While it was a failure, it was also the first time Best got into video editing, which now consumes most of his time for his own brand, as well as the viral videos put out by BRCC. Some of Best’s greatest videos are actually songs he has written and produced himself, under the unknown “fake band,” as he calls it, Lincoln’s Box Seats. The so-called “fake” band actually does pretty well for itself, having sold about 50,000 songs and having more than 7 million streams on TuneCore. His entrepreneurial drive fuels him in everyday life, and his and BRCC’s “we don’t give a f*ck,” unapologetic attitude is behind their identity and desire to build a community of like-minded individuals. Best’s success both in his personal brand and with BRCC has not come without failure, though. “I think people who look into the crystal ball and think, ‘I wish I had that,’ don’t realize how much work goes into ‘that,’” Best pointed out. For example, the full-length film “Range 15” that Article 15 Clothing and another military apparel company, Ranger Up, created in collaboration and released in June 2016. It’s a zombie comedy film that was produced and directed by Ross Patterson. It stars big name actors such as William Shatner and Danny Trejo, as well as big names in the military community such as Army Green Beret Tim Kennedy and Medal of Honor recipient Marcus Luttrell. Best thinks it could have been better. Regardless of perceived failure or actual failure, Best is flat-out driven to simply do more, and do it well. “I’m still growing my brand. I want to be the guy who makes people laugh. But I’m also No. 2 in charge of BRCC,” he pointed out. As if Best weren’t busy enough, he found time to write a book that is set to be released sometime in 2019. The process of having his book reviewed and approved by the Defense Department and other agencies has taken about 17 months. “I tell everything from about where I grew up [in California] and playing bass in an emo band with black dyed hair, to becoming an Army Ranger,” Best said. He also tells stories about fallen friends, who motivate him to keep living the dream. “I tell a lot of stories of heroism of my friends, a couple of friends who are no longer with us. Their legacy and story needs to be shared,” he said. And if you’re familiar with any of Best’s salacious content – “How to be a Man,” “Dating in the Military” and “How To Be Tacticool” come to mind – you won’t be disappointed with the book. The potential release date for his book is July 4th. Knowing Best, he wouldn’t want it any other way. “I wish everyone could create an environment where they get to do what they love every day,” he added.